Install Aedict 3 and activate the 'Aedict Ultimate' Subscription to gain access to this feature. What is Aedict KanjiDraw Practice? 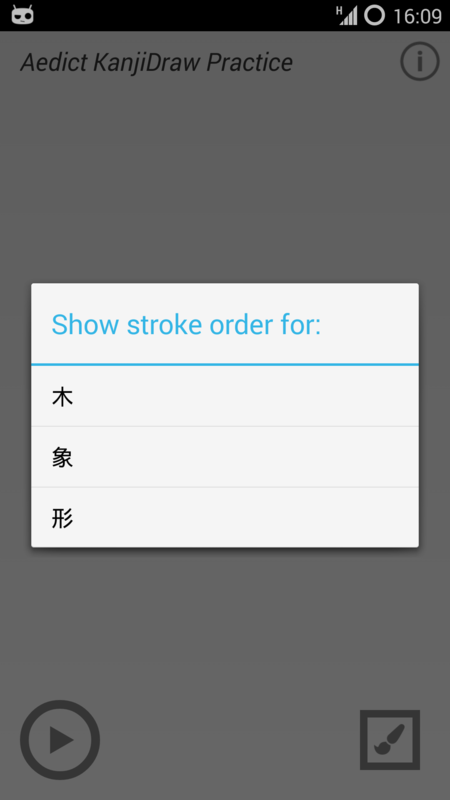 Provides stroke order animation for 7000+ kanjis. You can start the animation either from start, or for the selected stroke. To activate this extension, simply install the Aedict app and activate the "Aedict Ultimate" subscription. The extension will be activated automatically. You can share a text containing kanjis from e.g. 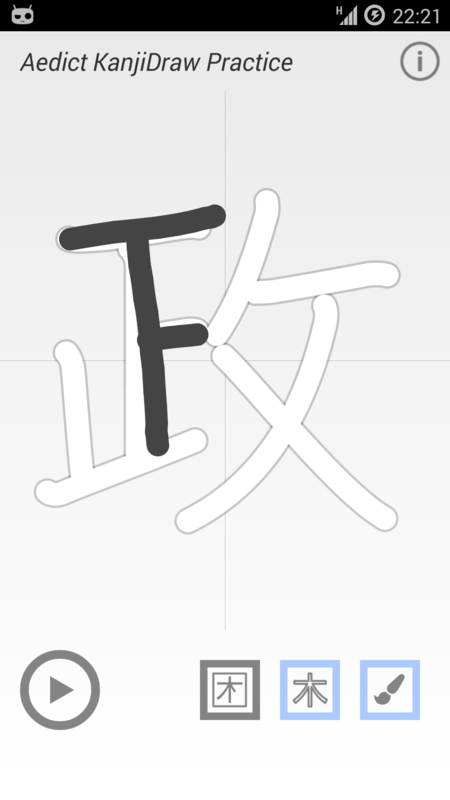 a browser - KanjiDraw will recognize all kanjis in the text and will offer you to show stroke order for that kanji. Provides general hints on how to draw the kanji. Currently, KanjiDraw will not check the correctness of your drawing. This is planned for future releases. 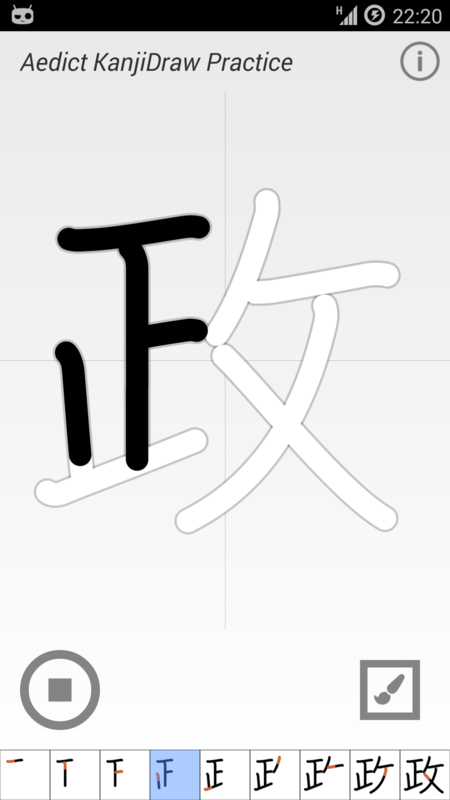 You can practise your own kanji drawing. 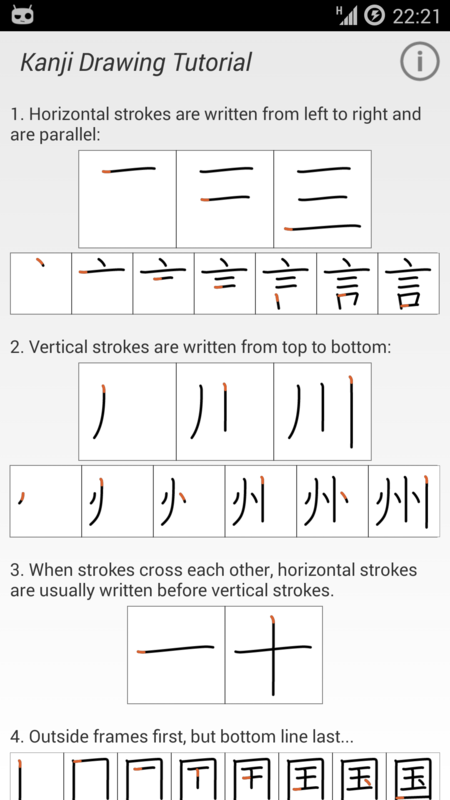 You can show the stroke order diagram and/or the kanji contours, to help to draw the kanji for the first time. Aedict3 will assist you with activating of the "Aedict Ultimate" subscription: just head to Settings, Aedict Ultimate and click the Subscribe button. Bug/Issue tracker - please enter all bugs and/or feature requests here.